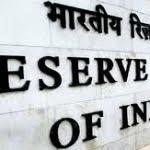 Mumbai -The Reserve Bank of India has announced the auction of 91 day Government of India Treasury Bills for notified amount of Rs 7,000 crore. The sale will be subject to the terms and conditions specified in the General Notification. State governments, eligible Provident Funds in India, designated Foreign Central Banks and any person or institution specified by the Bank in this regard, can participate on non-competitive basis, the allocation for which will be outside the notified amount. Individuals can also participate on non-competitive basis as retail investors. For retail investors, the allocation will be restricted to a maximum of 5 percent of the notified amount. The auction will be conducted on November 28, 2018 using Multiple Price Auction method. The competitive bids for the auction should be submitted in electronic format on the Reserve Bank of India Core Banking Solution (E-Kuber) system.The non-competitive bids should be submitted between 10.30 a.m. and 11.30 a.m.